The Apple is Sea The Stars favourite fruit. 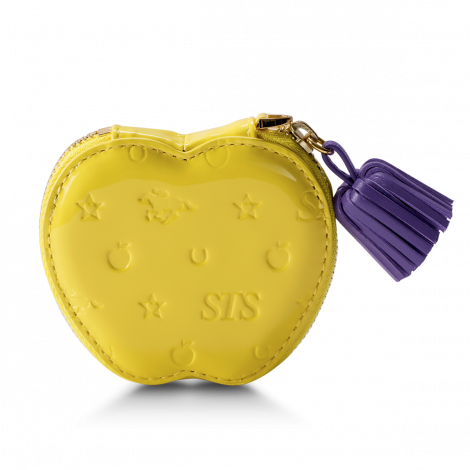 This Coin Purse is embossed with our "Lady STS" monogram. The tassel puller gives them a joyful touch. Gusset on both side for more room and user friendly. Detachable chain with horse shoe shape hook. Zipper closure with tassel puller. D-ring on one side to hang any charms. Patent calf leather, linning in lambskin. Comes with Sea The Stars cloth bag.